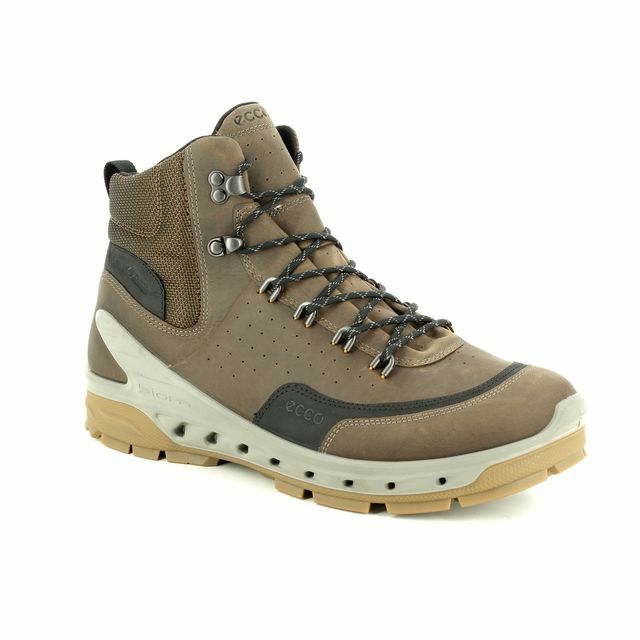 ECCO BIOM Venture TR GORE-TEX is a rugged men's all-weather boot. 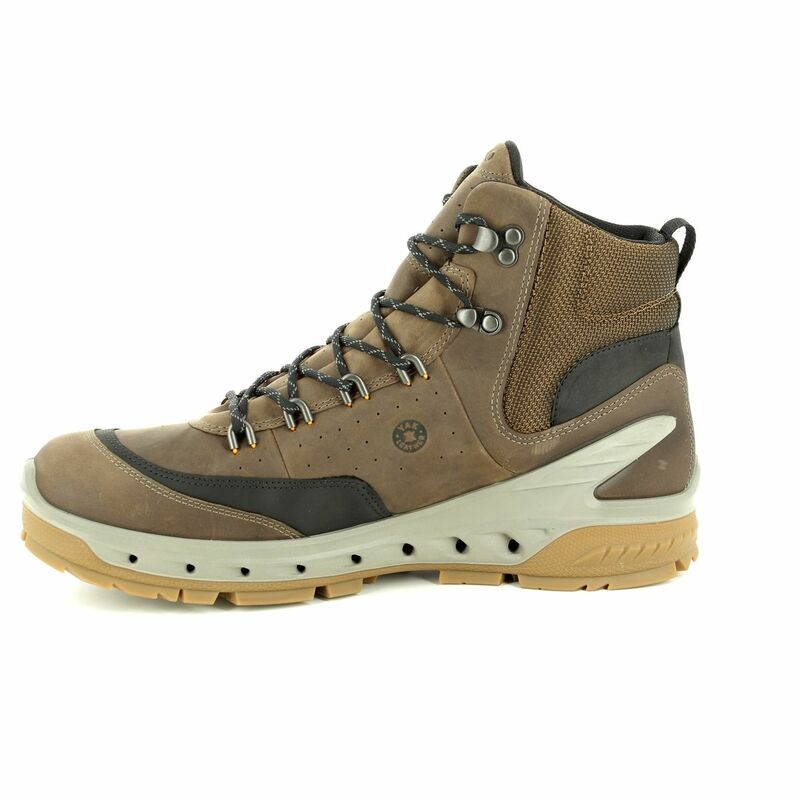 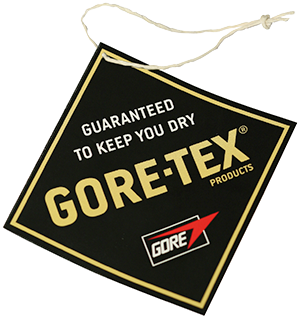 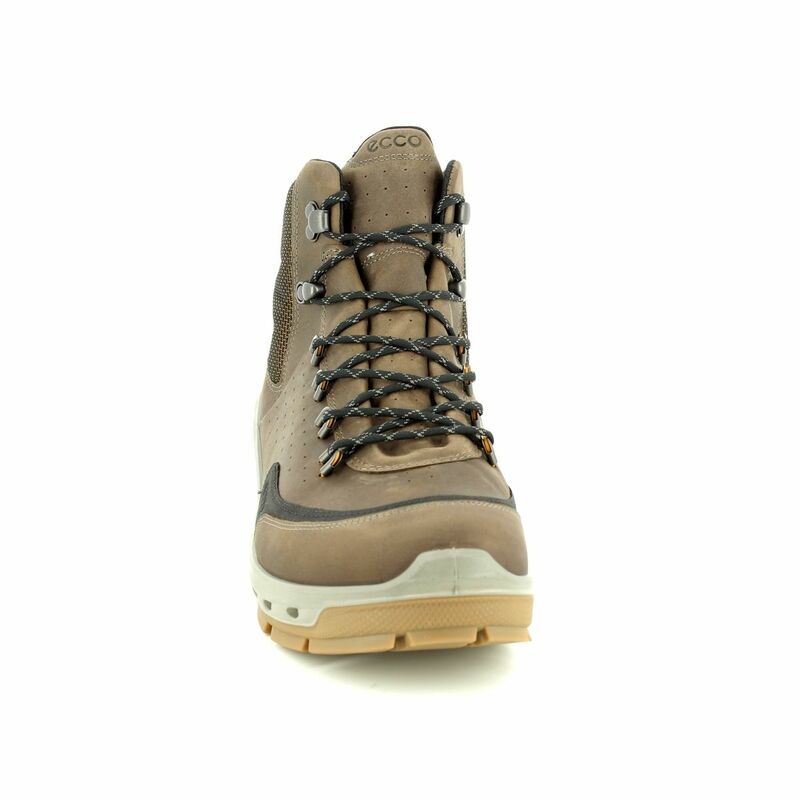 These boots will help you to be prepared for anything the weather can throw at you with a GORE-TEX SURROUND waterproof construction that allows your foot to breathe naturally and prevents water from getting to your foot with additional PU air channels that allow for breathability from every angle. 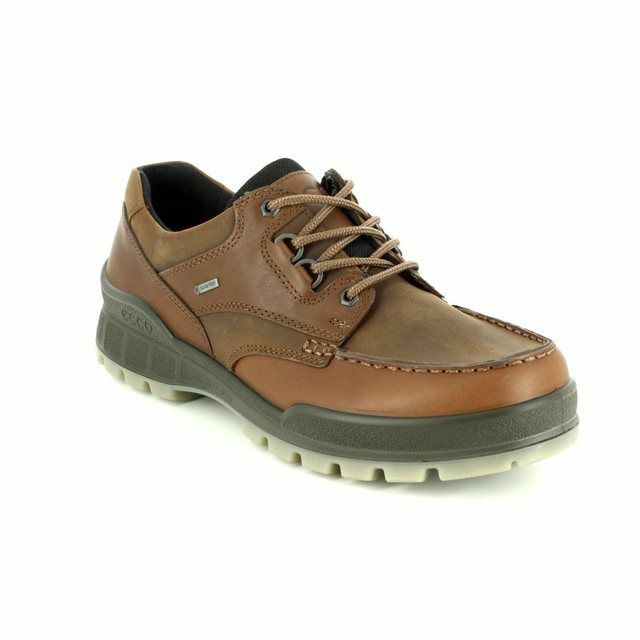 The upper is made from brown and black Yak nubuck leather with subtle perforations for increased breathability. 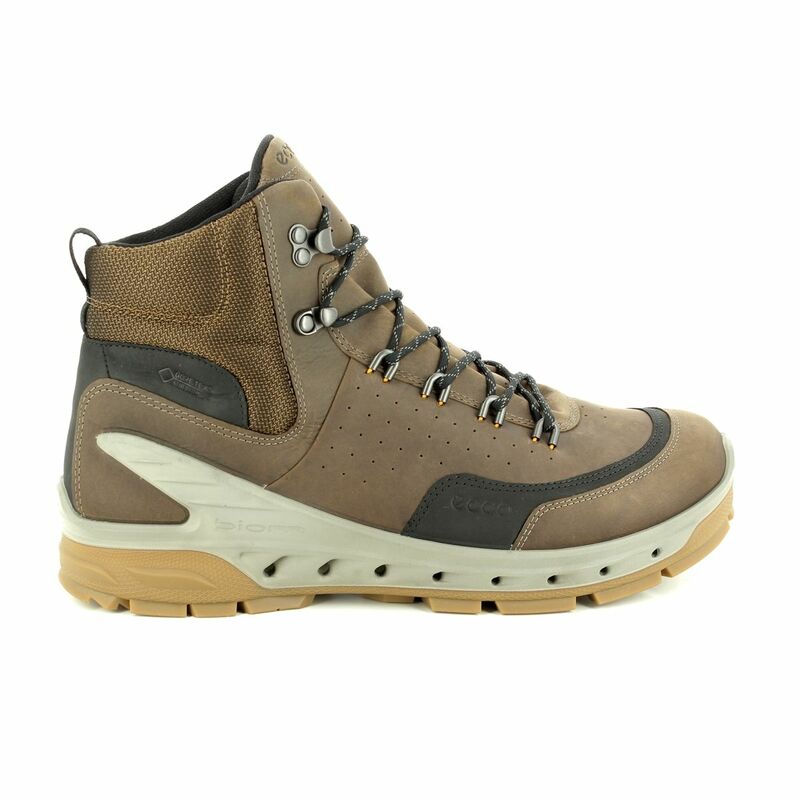 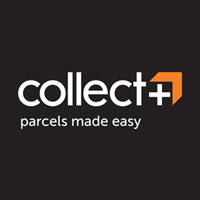 The boot is designed with the sole being low to the ground which allows your foot to maintain it's natural position and adapt to changing ground conditions. 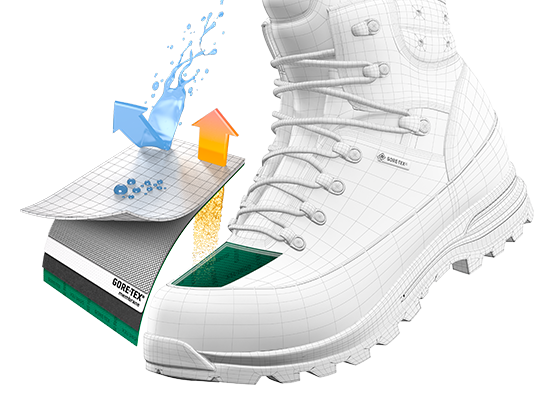 The unique BIOM last shape has been combined with a direct-injected PU foam midsole that is shock absorbing for cushioned comfort. 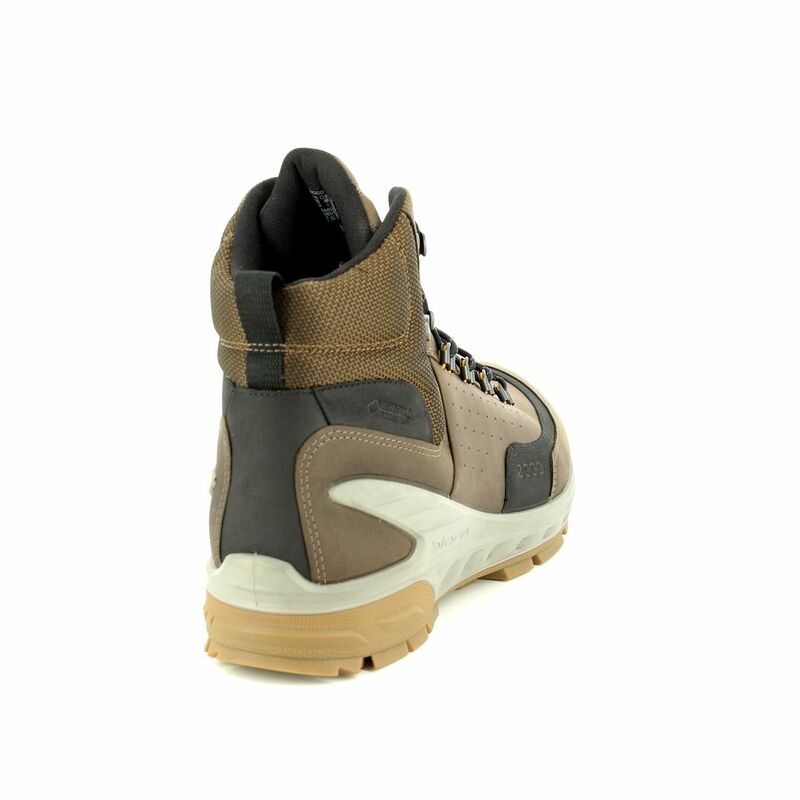 The outsole is made from rubber that is durable and provides excellent grip on a variety of terrain. Buy your ECCO 854604/51742 BIOM VENTURE TR GORE-TEX from Begg Shoes, an official ECCO stockist.